Lease or Own | Woodward Commercial Realty, Inc. The Woodward Commercial Realty team is frequently asked why a business should lease, rather than own, a building. The needs of each business are unique. Contact us for answers about what is right for your business, as you consider the many aspects of leasing and owning. Below are a few of the factors to consider as you make the lease vs. own decision. Compare your return on equity (owning) with return on investment (leasing). Start by comparing the after-tax cash flow for both scenarios. Are your capital investments capable of producing higher rates of return when they are placed in your core business cycle or when they are placed in real estate investment? In most instances, the more profitable opportunities exist within a company’s core business cycle, rather than in real estate ownership. As a business owner or manger, you must evaluate how much time will be spent managing a building project or overseeing your investment in a building versus spending the same time overseeing core business operations. In today’s business environment, the value of a business is based more on cash flow than on asset value. Value created by cash flow far exceeds the likely appreciation of a real estate investment. Interest rates are closely monitored by all sections of the business world and have a definite impact on your real estate investment returns. Many facility construction projects begin with a budget but proceed with the issuing of change orders by the general contractor, causing building costs to inflate beyond budget. Woodward Commercial Realty sets the lease rates of our build-to-suit/lease projects in conjunction with the building plans. Once agreed upon, Woodward guarantees that your lease rate will not change because of material cost increases. When a development company sells a piece of land, the company purchasing it recognizes an immediate tax burden. The retail value of the land is that tax burden combined with the property value. The lease value of the land is realized when the development company converts the same piece of land into a build-to-suit project. No immediate tax burden is created and the developer is able to pass along discounted land values to the lessee. Location goes beyond asset value. It determines whether a property will allow for any future expansion or how easy it will be to sell should the business need to move or close. Often the ideal location for a company is part of a block of land zoned for commercial use and equipped with the necessary utilities and infrastructure, but available only for build-to-suit/lease arrangements. Future financing needs: Does your business have the ability to borrow additional funds for both real estate investments and balance sheet items? 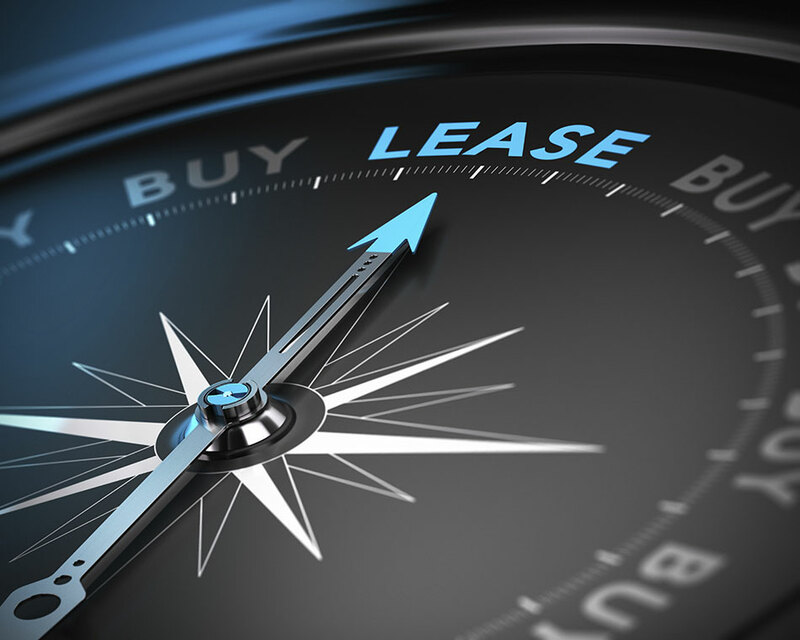 If your competition is leasing, then they are putting their capital into their core business cycle and gaining all the advantages of leasing. That’s something to consider when making your lease-vs.-own decision. Don’t walk alone through the complex decision of whether to own or lease. Put the expertise of the Woodward Commercial Realty team to work for you. We’re here to help. Contact us today.